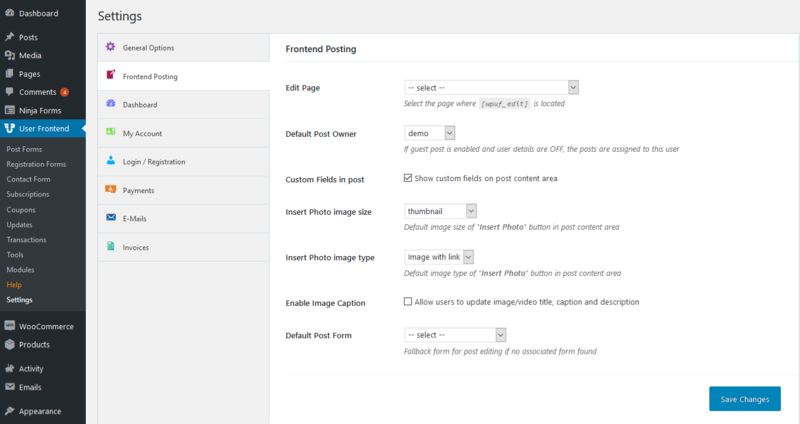 Frontend Posting page can be found in wp-dashboard→User Frontend→Settings. This page allows you to change various posts, forms and other frontend-related features for users and guests. 1. Edit Page: From this drop-down select the page where [wpuf_edit] is located. 2. 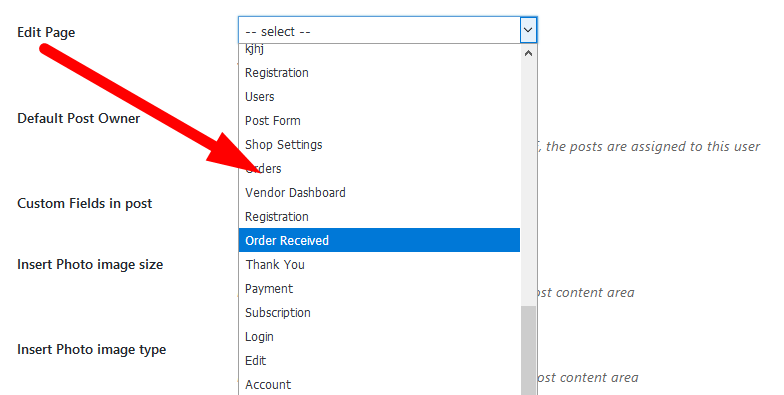 Default Post Owner: From this drop-down, select the user who you want to assign the posts if guest post is enabled and user details are OFF. 3. Custom Fields in post: Enable this checkbox to show custom fields on post content area. 4. Insert Photo Image Size: Select from this drop-down the default image size of “Insert Photo” button in post content area. 5. Insert Photo Image Type: Select from this drop-down the default image type of “Insert Photo” button in post content area. 6. Enable Image Caption: Enable this checkbox to allow users to update image/video title, caption, and description. 7. Default Post Form: Select from this drop-down the Fallback form for post editing if no associated form is found.